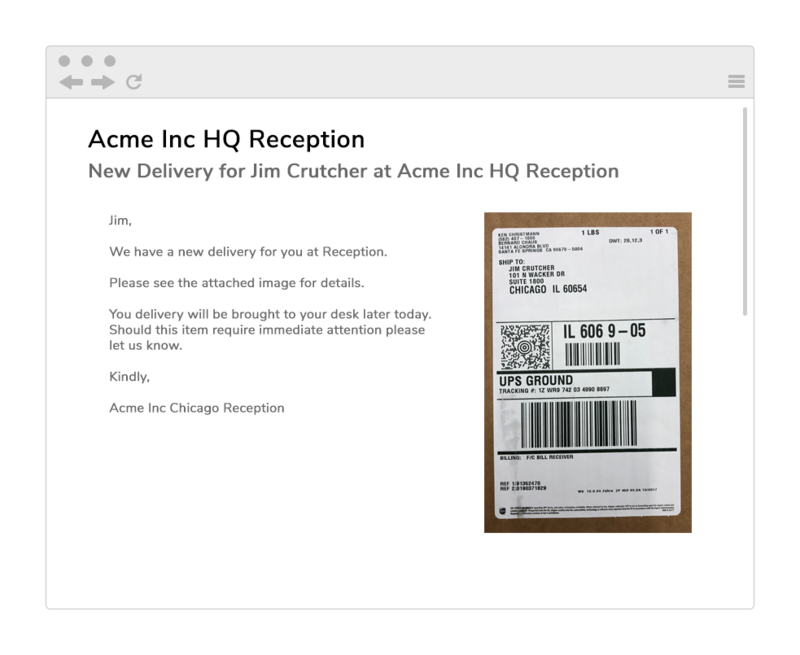 Package Zen scans the entire label and identifies the correct recipient and department automatically. Recipients receive a photo notification when you snap a picture... and reminders if it's not picked up. Recipients receive a notification in seconds. Every email, SMS, or Slack notification includes the label image so there's never any confusion. Simply snap an image of each delivery label when it's signed out from you and collect one signature. You can customize your workflow to collect any information you need. 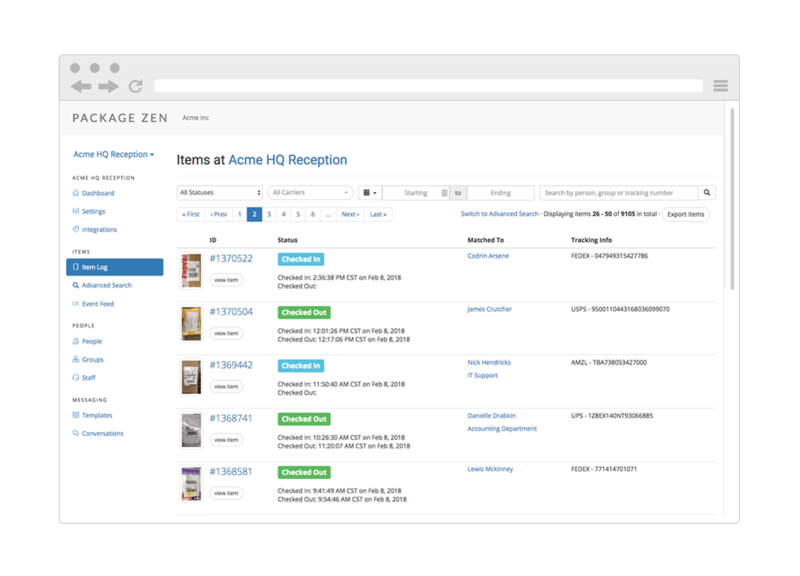 Package Zen's powerful technology automatically and accurately matches up every image to generate complete, searchable records. You'll never hunt and peck to sign out deliveries or hope that a hurried recipient picked the right delivery to sign out. Find any delivery by the recipient, any of 1,300 carriers, the tracking number, the date received and any text anywhere on any delivery label. Search by purchase order numbers, reference numbers, inventory numbers, phone numbers and more. Anywhere you receive deliveries — Package Zen has you covered!